If there's one thing the Xbox One needs more of, it's dragons, and Japanese studio Platinum Games is here to rectify that. At Gamescom 2015, the developer unveiled the first lengthy gameplay trailer forScalebound, an action game where players take on towering fantasy monsters in an impressively huge world. The hero also wears headphones for some reason. According to director Hideki Kamiya, Scalebound will be Platinum's biggest release ever — the studio is best know for its high-intensity action games like Bayonetta and Metal Gear Rising: Revengeance. 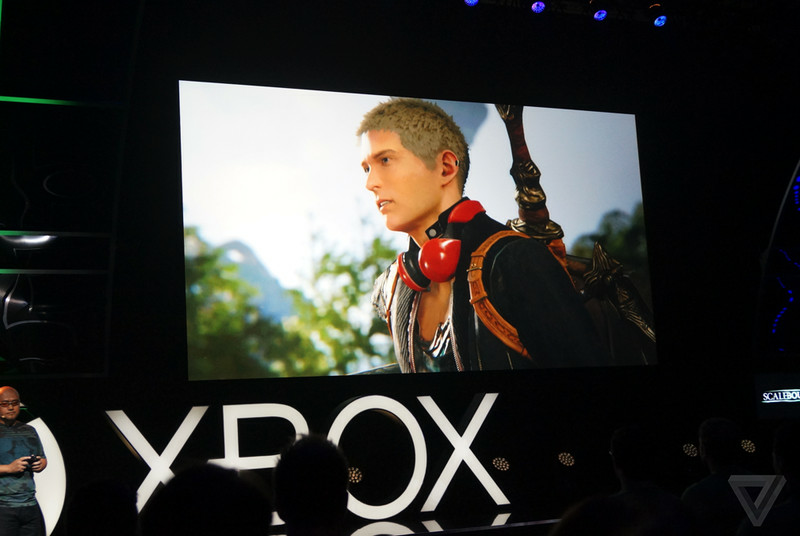 The new trailer appeared to have some performance issues, but the game is still a ways out — Scalebound is due to hit the Xbox One in late 2016.